BASF and Gustav Grolman GmbH & Co. KG strengthened their exclusive collaboration in Europe in the marketing of amine-based curing agents for the professional processing of epoxy resins. 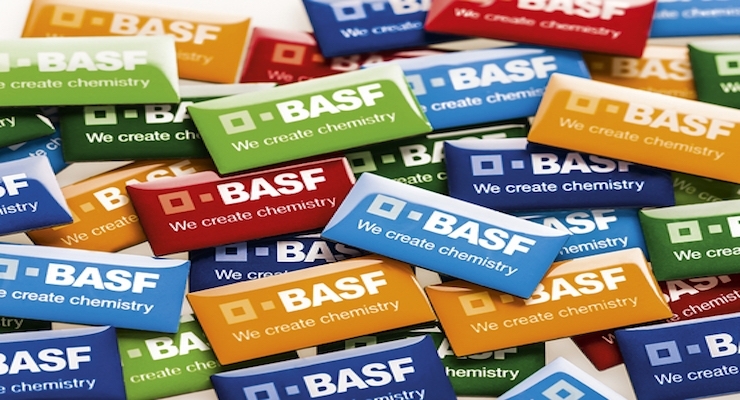 Grolman expands the marketing of the BASF specialty chemicals under the Baxxodurbrand to Italy, Spain and Portugal, specifically for use in epoxy resin based applications. Examples are thermosetting laminates, highly resistant floor coatings, corrosion protection varnish and composite materials. The products are used in the construction industry as well as in the automotive, marine, aerospace and industrial applications manufacturing. With the extended regional partnership with BASF, Grolman, one of Europe's largest distributors of specialty chemicals, further strengthens its strong position. Grolman has a diversified know-how in application technology. The high-quality curing agent components made by BASF supplement Grolman’s product portfolio of resins, accelerators, additives, flame retardants, pigments and special fillers for the thermosetting industry. Under the brand name Baxxodur, BASF markets a diversified spectrum of amine-based curing components for the professional processing of epoxy resins. Since 2015, BASF and Grolman collaborate exclusively in the marketing of Baxxodur in Europe. Since then, Grolman has been marketing the BASF specialty chemicals in Germany, Austria, Switzerland, Belgium, the Netherlands, Luxembourg, Ireland, Great Britain, France, Norway, Sweden, Finland, and Denmark specifically for use in epoxy resin based applications.